I continue to be on the lookout for good new dividend-paying shares for my High Yield Portfolio as well as opportunities to diversify the market sectors I hold. These high-yield shares form Level 6 on the DIY Income Investor Income Pyramid). My latest share shopping trip has brought me to Sainsbury's. Why, you may ask? Now the Christmas season horror stories are over, I was interested to see that a couple of the big UK supermarket chains have crept up the FTSE dividend yield league. Looking at Top Yields website for the FTSE100 revealed that both Sainsbury's and Tesco are now showing respectable yields, well above the FTSE average. Sainsbury's share price has fallen further over the year and so its yield (at around 5.5%) is a full percentage point above that of Tesco, although Tesco's dividend cover is better than that of Sainsbury's (greater than 2 and less than 2 respectively) The p/e of both is under 10. What decided it for me was that I like Sainsbury's offer - it is well positioned between Waitrose's genteel high prices and Asda's slightly scruffy 'smart' prices. There is an overall feel of quality but prices seem to be competitive. A very effective series of money-off vouchers hooked us for the month before Christmas. We have also bought furniture from the Sainsbury website. Tesco is a good retail company that seems to have temporarily lost its way in the UK; a case in point is a recent experience we have had with the price offer at Tesco's opticians, which seems way out of line with that of Asda's opticians - a similar product for half the price. 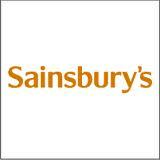 So, as my first retail/supermarket dividend share, Sainsbury's seems to fit the bill. Must say I prefer Tesco at these prices, though both supermarkets are clearly down in the dumps on the UK economic picture. The issue I have with SBRY, MRW et al is they're just scrapping for a few percent market share in the UK, whereas Tesco has already achieved escape velocity and has the whole world to grow in. Many people (not you!) don't seem to realise that Tesco has far more square footage outside of the UK now, and that a quarter of its sales are generated outside the UK - a figure that's roughly tripled (from memory) since 2000. Anyway, just my 2 cents. SBRY has arguably better-placed property, also. Interestingly Buffet bought another 2% of Tesco's. He generally knows something we don't. Buffet has a uniquely successful view - however, his cash pile is huge and he needs big companies to invest in. I sense - perhaps wrongly, as it is not based on detailed research - that something is wrong at Tesco UK, and I'm guessing that it is not unrelated to the new management. Parallel Coca Cola, when new management nearly destroyed the company. Still, we're off to Tesco today, with a £5-off-£40 spend voucher, so perhaps Xmas was a blip. I am a contract Driver & do a lot of Tesco work. For about 2 years now they have been cutting staff so much that shelves do not get filled but also their prices are way too high for the current climate. Its interesting that Tesco staff have 10% discount card & yet a lot of the ones I know shop elsewhere eg Asda,Aldi,Lidle & Morrisons because they are cheaper even allowing for the discount.I has a gut feeling that Tesco would take a hit but I think thay will be a good buy in the future when the new CEO sorts out ther woes. Interesting point regarding Buffett- He bought the Tesco shares that Neil Woodford of Invesco Perpetual sold! !